Blackmotion’s Lawrence Sefojane, Lebogang Phahlamohlaka, Kagiso Moima Wa Masimini and Sipho Nkosi. 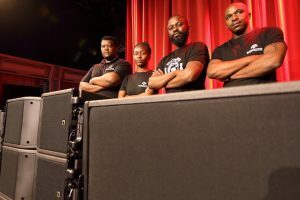 For the past 14 years, Blackmotion Productions, a 100% black owned company, has provided technical solutions to live events ranging from concerts, theatre attractions, and television studio work to smaller gatherings like birthdays, bar mitzvahs and weddings. With a mission statement to pursue excellence, the company has taken their service offering a step further by investing in a brand-new L-Acoustics Kara modular line source array system, which has already been put to the test. 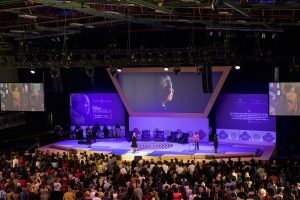 The Kara system was used by Blackmotion Production in the Nelson Mandela Foundation’s event, ‘Is’thunzi Sabafazi’-translated to “Dignity of a Woman’- hosted at the University of Johannesburg’s Soweto campus. 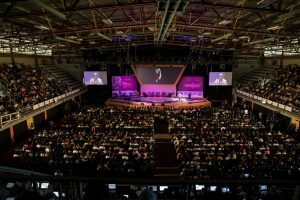 The event celebrated women and spoke out against the systemic injustices that many women face. 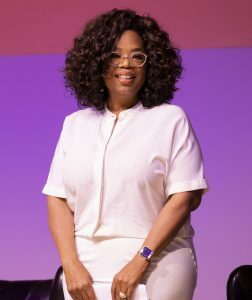 The event had key speeches by several extraordinary women, including Oprah Winfrey. 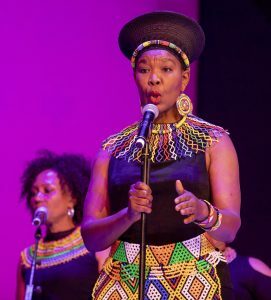 The system didn’t rest as it was used again at the Nelson Mandela Tribute to honour the former president and his legacy, five years after his passing. The event was headlined by the internationally acclaimed author and activist Chimamanda Adichie Ngozi. Everyone attending clung onto her passionate delivery, word for word. The emphasis on vocal clarity was clearly a priority, and the Kara delivered in bounds. 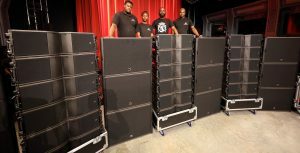 The Kara also proved to be spectacular at a festival in Limpopo, the Florence Palms Beach Party, where the audience was close to 20 000 people, and were also used in the corporate environment for the Nedbank Retail Leadership Conference event hosted at MAD GIANT at 1 Fox. 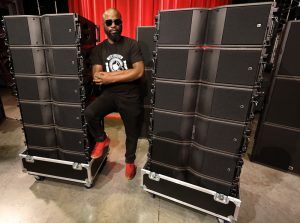 Of course, it takes a while for an up-and-coming company to make a calculated investment into professional gear, and it’s with great excitement that Kagiso now has 18 Kara and 12 SB18 subwoofers, purchased from DWR Distribution, Certified Provider Distributor for L-Acoustics in South Africa.